The owner of a small family-owned business in Texas said she is feeling the financial impact of US tariffs against China. She told CNN that 84% of the products currently in the store come from China, and most of them have been hit with a 10% tariff. Tiffany Zarfas Williams owns the Luggage Shop of Lubbock with her husband in Texas. "It would be nice to have the ability to speak for our industry, to explain how we don't have an easy option to switch production somewhere else," she said. The National Retail Federation, which likes many of the current administration's policies, is dead set against tariffs and has kept up its drumbeat on trade-war casualties. But it's another thing to read about a small business owner who is already being impacted. Zarfas Williams is third-generation owner of the business which started in a downtown location in the 1950s. While she doesn't sell online, her plight is one online sellers can relate to, with no end in sight. In fact, the 10% tariff in her category is set to rise to 25% at the end of the year, according to the CNN article. How adaptable is your pricing - or product sourcing - if US tariffs against Chinese goods hit your category? The tariffs have hit US farmers very hard as they export a great deal of agricultural products to China. Denying that we are in a global economy is like thinking that the coal industry will make a comeback or that global warming isn't happening. Three once in a thousand years flooding in the Carolinas in the past 8 years. Coincidence? For those who aren't convinced, expect to pay more at your local Walmart. A tariff war is not the solution. ...... except if you own a business that manufacturers items in the US, and your Chinese competition can make/transport and sell things WAYYYYYYY below cost because of the inaccuracy of the current trade agreements. Maybe she should try (and Im a republican) hiring a Vet or a single mother, pay them a decent wage and then try and sell her product. Anyone can sell Chinese junk ...... Im not that old, but I can still remember when the US used to make things ... how about we try that again? Global economy Pace. That's reality. The USA can either embrace it or deny it. It's like denying science, which many these days also wish to deny. Is it fair? For some but not for all. That's pretty much the way it has been all of my life. The resourceful folks will make reality work for them. We're in the motors industry, and the problem with the tariffs is that they aren't just making overseas prices go up. The DOMESTIC manufacturers have went up just as much, or even more than the China suppliers this year! This is because it's the raw materials being hit by tariffs, not just the goods. Making it even worse, the tariffs are not making a difference anyway. China suppliers, even with the tarriff, are still far cheaper than US suppliers. All it's doing is driving up prices for the customers. And the worst of the tariffs have not even kicked in yet. Just wait until Jan 1st. 25% is incoming! This is only 10% right now. And for the record, at least in motors, China products are not "junk" compared to US products in all cases. For performance parts, US definitely has higher quality. But for average parts, and many OEM parts, the quality is the same. Case by case, some items manufactured overseas are better quality sometimes. For our products, we must assess the quality of all options to see which manufacturer locations can offer the highest quality. And by the way, for those performance parts I mentioned? The prices of those have went up this year, due to the increased cost of importing raw materials to manufacture them. At the end of the day, I just want to make sure everyone is aware. These tariffs (at least in the auto industry) are NOT hurting China at all. They ARE hurting US businesses. They ARE hurting the US consumers. When your economy is mostly based on consumer purchases then - agreed - import tariffs hurt those very consumers. But whos fault is it consumers want super cheap things? Its not Trumps fault - all he wants is to level the playing field. As well - how much of a trade imbalance do you want as a country ? I'm all for finding a solution to the trade imbalance. My only argument is that tariffs are NOT the solution. China are not the ones to pay the tariffs. The importers are the ones who pay. For tariffs to actually put a dent in China, you do realize they would probably have to be around 400% tariffs? That's how much cheaper it is to get equivalent items manufactured in China. The is AFTER 10% tariff. Even once the January 1st 25% kicks in, is it going to be any difference at all in competitiveness of overseas products? Nope. Not in the least. It's only going to be coming out of the pockets of consumers. Many Americans only hear what they cover in the media. But the truth is, these tariffs are NOT leveling the playing field AT ALL. Regarding Trump, I would ask... has he moved his manufacturing out of China personally? Or is he still getting his items manufactured there? That will say it all. Let's be honest, if we really wanted to level the playing field and boost manufacturing, why on earth would they put tariffs on the raw materials?? This made the price of US manufacturers go up nearly as much as the overseas prices. In the end, all the prices are going up. Competitiveness has not changed. Let's look at the US based manufacturers, they are suffering from the tariffs. Potentially more than China, as China isn't paying any additional bills. Because again, the tariffs are paid by the importers. Furthermore, only large C-corp's are seeing the benefits of the tax changes. This actually has hurt a lot of manufacturers as well. It has become even harder to compete with the top manufacturers, as they are seeing huge tax benefits, while everyone elses corporate taxes are exactly the same, yet their costs have went up dramatically. The economy is not going nearly as well as many may try to imply right now. We haven't even seen the full affects of tariffs kick in yet. Not even 50% of the tariffs have begun. And major companies are already feeling the hurt. It's only going to get worse come January 1st. It is a complex subject to be sure. I have mixed feeling on all of this. But it would be wise for all of us to remember WHY China can produce many of these products so much cheaper than in the US or even some other countries. Labor !!!! How much they pay them and how they treat them. This is a HUGE reason why so many items are so much cheaper coming out of China. Labor and the lack of structure / regulations governing how things are manufactured to include the material used sometimes. These are huge issues. While I don't think the battle of the tariffs are the answer, I'm honestly not sure what is. As long as there is a market here for products for China, they will continue to be sold in the US. Pumping up the US economy to promote more manufacturing of products certainly can help, but it still will not allow us to realistically with China with their cut rate labor and lack of manufacturing regulations as compared to the US. Hard to feel sorry for a seller in the US that buys from China and now whats to make a profit selling in the US. Hope they go broke. Try buying and selling US. I just worry that many people don't know the true picture of what is going on here. Honestly, almost everyone I've spoke to regarding this outside of eCommerce is not even aware that the tariffs are NOT paid by China/overseas. I also worry because people are under the belief that this makes China less competitive. They are so far below in prices (for reasons you explain) that this has not hurt them a bit (at least in our industry). This is not really a solution. It is hurting consumers and businesses. Yet people are under the belief that China is "suffering" from these changes, when it's hitting us harder. Most of our China manufacturers & suppliers have not even adjusted prices, only one dipped prices a little to try to take advantage of the changes. The major issue is, as long as there's competitors manufacturing or importing products from China, you are forced to do it as well. Because if they are selling products for 1/4 of your price, you aren't going to get sales. As mentioned earlier, if the tariffs were substantial enough to make China less competitive... then yes it might make a difference. But as of right now, in terms of "hurting China"... it's just for show. It's hurting US businesses more right now. And if we put a hurting on China, we would REALLY need to give US manufacturers a big boost in order to meet demand. Increasing prices on materials is not the way to do that. This isn't a situation that can be solved overnight, or with simple policy changes. A large enough manufacturing push would take years. People need auto parts. The industry will survive. But it's going to be harder on the public. Note - These are the TOTAL net price, from ordering to receiving, including tariffs/importing fees, to receive 1 of the same item, just from a different manufacturer. We do offer items from our US vendors. Outside of performance components for racing.. they are extremely rare sales. Customers don't want the US manufactured items, because they are so highly priced. Let's say you needed a front right engine mount. You head up to auto-zone. Auto zone has two items for you. One costs $20, the other one $70. You take a look at them visually, and can't notice any differences in the visual inspection. Which are you going to buy? The problem gets worse when you look in to getting your own items manufactured. Manufacturing prices are substantially cheaper if you get it done overseas, as the items themselves are not cheaper, but they also offer free boxing for your brand, etc. It's easy to say "Buy & Sell US products". You can't say that to the sellers. You need to say that to the BUYERS. We sell them. Customers don't want them. Customers want the competitive price. That's why I say in my previous post. As long as there's other sellers, selling it for a fraction of the US price. Your only choice in the industry is to either sell those products as well, or find a way to be satisfied with barely ever getting a sale. Right now we have stock of 2 major US brands. Here is a brutally real picture of the situation: We have 607 orders in the last 5 days. Only two of them were from US brands. As long as there's overseas competition, if we only sold US, we would be out of business. If overseas was no longer an option anymore, and competitors were not able to source from overseas? That would be great for us since we are US based and have strong relationships with the local vendors. And this would TRULY put a hurting on China. But the reality of the situation right now, is that you will be out of business if you only carry US, because US manufacturing simply can not compete with China manufacturing. Even if we are talking about the same exact quality of item. It's a really sad situation to see the truth of. 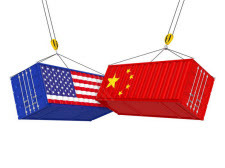 There has been so much rhetoric in the media and politics, regarding importing, China, manufacturing, the actual reasons behind the problem, the affect tariffs are actually having.... It's all words that have ulterior motives. Sadly people have a very distorted picture of what actually is going on. What most people have heard or been told, is not the truth. It's not an easy, or fast, problem to solve. Manufacturing in the US is so expensive, and costs are increasing rapidly. Wage increases aren't even keeping up with costs of living increases. Manufacturing elsewhere is so cheap. The entire business and sourcing infrastructure is dependent on these products, because it's impossible to survive as a business unless you source from the same places. It's not going to be fixed without major changes. Tariffs are not going to fix it. To put it bluntly, it's politically motivated. Those who are hurting are just small businesses and consumers. It just is not going to be obvious until a few months in to 2019... because the tariffs are still pending. It's intentional that the affects will not be apparent until after the election, which is precisely why you hear all the rhetoric about this "hurting China". All I can say is... you have the numbers I provided above. Please don't believe what you hear from the media (or even my own conclusions). Look at the numbers and form your own opinion as to what affect 10/25% tariffs could possibly have, knowing that those tariffs are NOT being paid by China. Wow. The seller has the right to procure products from anywhere he or she pleases. Again...global economy. I wish OP great success, regardless of where he or she buys his or her products from. "To put it bluntly, it's politically motivated." Red meat for the base. Both Trump and Ivanka had their products manufactured outside of the country. Ivanka's in China until her brand fell apart. Sounds like a good reason to buy and sell American product to me. Glad to see the tariffs are working. All we can do is encourage people to stay engaged in the world around them, not just their neighborhood. It is difficult. Some just have no interest until it affects them personally. Others don't see the broad picture only what is right in front of them. But most are complex issues with continuing moving parts. Kind of like Ebay rules LOL. Damn hard to keep your head wrapped around them. I firmly agree with what you say about pricing and certainly not just in your particular industry. It will show up in all industries that China has a hand in. "All we can do is encourage people to stay engaged in the world around them, not just their neighborhood." At the end of the day we are all people of the planet. For the most part, people around the world just want a better life for themselves and their for their families. Being myopic will get you know where. Folks who live in various countries are not to blame for what their leaders do or their commercial environment. I've broken bread face-to-face with Asians, Turks, Moroccans, Brazilians, Mexicans and Europeans. I am a better person for it and I consider myself fortunate to have had those experiences. To Marie's point, it helped me to get engaged with the world outside my neighborhood. There has to be a culture shift away from rentierism. Those opposed to tariffs need to come up with alternatives. Continuing to offshore entire industries while crying about unemployment and public assistance is not.